The busiest sleep clinic in the UK launched the Kids Sleep Dr app in April 2015. The app tracks sleep patterns in children from newborns up to the age of 16, and offers advice and tips to parents struggling with their child’s sleeping problems. 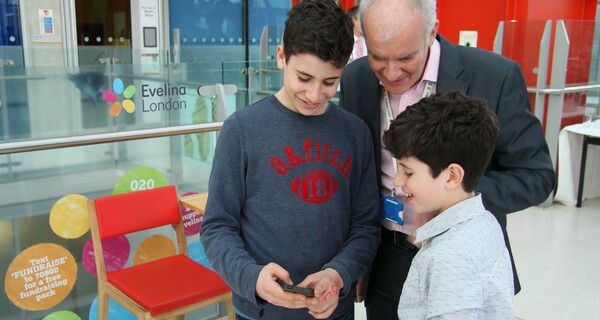 Professor Paul Gringras, founder and head of the Sleep Medicine Department at Evelina London Children’s Hospital, and creator of the app, developed Kids Sleep Dr to offer help as quickly as possible. After just five days of recording activity, the app becomes a full personalised service to parents that keeps learning over time. Kids Sleep Dr is free, and users benefit from Evelina London’s years of experience working with hundreds of patients. At the same time, the proprietary results from clinical research that drive the app’s understanding and advice engines are valuable, and the team hopes that offering up this expertise in the app will ease pressure from worried parents on NHS resources. RMA Consulting saw the opportunity to bring best user experience practices into the project. In a pro bono collaboration, the technology design firm developed Kids Sleep Dr to work with data from the sleep clinic and parents’ input – and present clear, functional and tailored advice to tired parents using the app in the middle of the night. Kids Sleep Dr addresses a vital, constant market of two million families in the UK that are having problems with their children’s sleep. Disrupted nocturnal patterns exhaust kids and parents alike, and the personalised advice the app offers aims to bring peace and a good night’s sleep back to the family home. Kids Sleep Dr is available through their website and the Apple App Store. Image courtesy of Kids Sleep Dr.